Children learn when they are having fun and what could be more fun than making pizza, eating pizza and having a go at some Pizza Maths? There are approximately 10,000 pizzerias in the UK and 61,269 in the United States. (Source: American Business Lists) Each man, woman and child in America eats an average of 46 slices of pizza a year! The world’s largest pizza before tha latest record was ‘built’ on October 11, 1987 by Lorenzo Amato and Louis Piancone. Pepperoni is America’s favourite topping (36% of all pizza orders); they eat approximately 251,770,000 pounds per year. 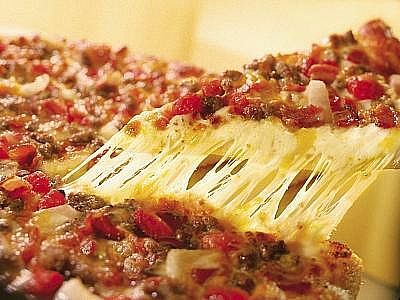 Other popular pizza toppings are mushrooms, extra cheese, sausage,green pepper and onion. The UK’s favourite topping is chicken. What Fascinating Pizza Facts can you discover? Provide a variety of different shop-bought pizzas – you could try this two ways. Are you trying to discover the best shop based pizza or find the tastiest pizza? With my children we decided to put different shops on pizza trial. As our oven can only cope with cooking 3 pizzas at a time we chose 3 different flavoured pizzas. The children decided the wanted to test pizzas from Iceland – oh the fun I had letting them decide which flavours we should try. Fred chose doner kebab pizza; Alex decided upon Hot Dog flavour and then thankfully Katy was thinking sensibly and choose Ham and Pineapple! We looked the ingredients and compared the appearance of the pizzas and decided to give them star awards. Ham and Pineapple was popular by all and so we gave it 5 stars, next we were most impressed with the doner kebab pizza and gave it 3 stars but unfortunately the Hot Dog pizza did not impress so it got just 1 star. Use a shop bought pizza base. We much preferred our home-made Hot Dog pizza! I think children really enjoyed making the dough themselves and it wasn’t difficult to do and we found this thin crust recipe to be nicer than Jamie Olivers! We also experimented with different toppings and discussed the effect would be if we added too much or too little. They loved all the measuring and experimenting and for my older son we even got some pizza ratio maths problems in! Children could try different shapes. How long does each take to cook? Which is easiest to make? How evenly does it cook? Children could try different finishes. What differences do various finishes make to the taste and appearance? How much does each cost? Now when you serve up Pizza you can ask kids lots of pizza fraction questions! Now will kids look delighted when you say Pizza is for tea?